Everyone has heard of cloud computing, the ability to store and access data in the internet. There are a variety of services which will allow you to do automatic backup of files, for a monthly fee. However, there is a very simple and elegant way in which you can get into the cloud for free, and have all the power of local file access but with everything on the cloud. Here is how. This was sent to my by a colleague. 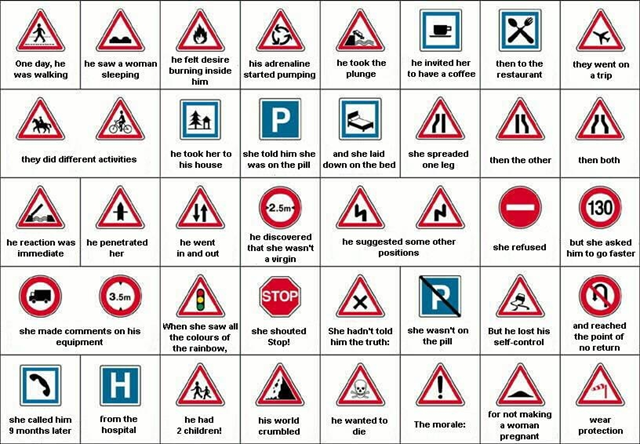 It is a bit risqué but a very creative interpretation of traffic signs! This is a ‘dynamic’ blog which I will add to when I find additional useful programs. Just look for the next to an entry. You are currently browsing the World Bank Traveller blog archives for April, 2010.